Surplus Military Depot LLC. buys surplus military equipment from around the U.S. We travel the U.S. looking for unique and interesting equipment that will meet customers’ needs. 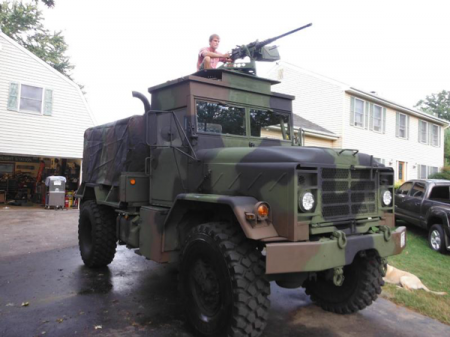 My son Brett and I run the business, selling everything from seats to armored HMMWV’s, Gun Trucks, and more. We also sell customized trucks, and we can customize our trucks to meet customers specifications. Please relax, take a look around our site, and enjoy the unique equipment we have. If you have any questions please call me.